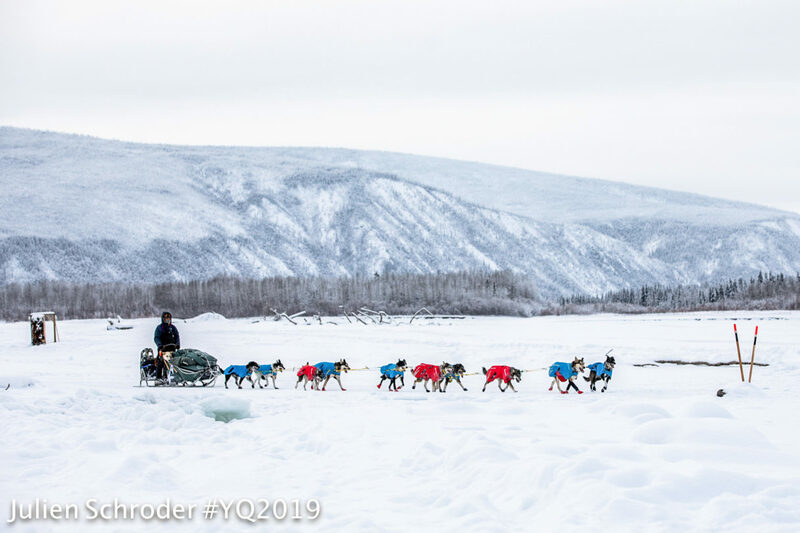 As the last Yukon Quest teams approach Dawson City, the first teams are already off — with stiff competition between the top five. Just before midnight, Brent Sass, Michelle Phillips, and Hans Gatt left Dawson at the precise minute their 36 mandatory layover hours were up, charging towards the Alaska border. The top three teams left without dropping any dogs. Allen Moore, currently in fourth position, decided to drop one dog, bringing him to 13, as did Paige Drobny, who is currently in fifth with 12 dogs. Official standings still have Brent Sass in position one. But unofficial standings show Hans Gatt and Allen Moore vying for first place. Both teams have checked into the hospitality stop at Clinton Creek, where they can grab some quick food before getting into Alaska. From Dawson City, the next official checkpoint is Eagle, Alaska — a distance of 150 miles. Canadian rangers and Alaska trailbreakers issued a trail report last night, citing good snow cover at 40 Mile River to Eagle with just a bit of ice jumble and very little overflow on the river. At this point, the biggest challenge along the trail may be drifted snow at the American summit. Lisbet Norris currently holds the red lantern. She and Jimmy Lebling are the last two yet to check into Dawson. According to GPS, as of 9am Thursday, Norris has about 45 miles until she reaches the unofficial halfway point. Both Norris and Lebling have been resting for over two hours, but Race Manager Pixie Ingram has no reports that either are experiencing problems on the trail. As of now, there are no scratches and very few dropped dogs. Earlier in the race, Race Marshal Doug Harris credited this success to the fair-weather conditions mushers are currently seeing on the trail. The next teams expected to leave Dawson are eligible to depart late this morning, which includes Martin Reitan of Kaktovik. He came into Dawson with a team of 13 dogs late on Tuesday (Feb. 5) at 11:30 pm, making him eligible to depart the checkpoint just before noon today. For more of the latest Yukon Quest coverage, tune in again to KNOM (780AM, 96.1FM) today at noon and 5pm. Image at top: On the trail near Dawson City. 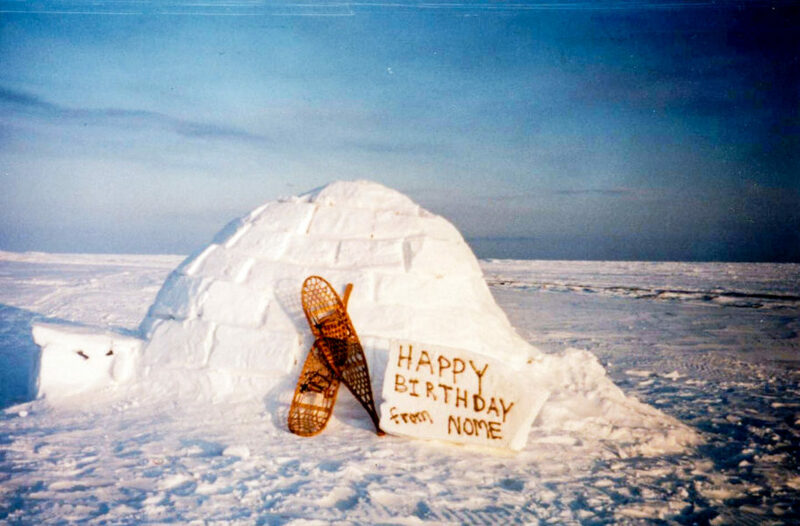 Photo: Julien Schroder, Yukon Quest; used with permission.